We are proud to announce our fantastic keynote speakers for ICSE 2013! The patenting of computer program innovations has been controversial for almost 50 years. Starting in the mid-1960s, many thought that software patents were a bad idea. Early on and into the mid-1980s, the U.S. Patent & Trademark Office (PTO) generally rejected applications for patents on software-implemented innovations on the theory that they were unpatentable as mental processes or abstract ideas (as did patent offices in other countries). The U.S. Supreme Court seemed to agree in the 1970s when it twice upheld PTO rejections in software patent cases. However, the tide started to shift in favor of software patents in the aftermath of a Supreme Court ruling in 1981 that an improved method of curing rubber that involved software processing was a patentable method. The Court of Appeals for the Federal Circuit (CAFC) interpreted this ruling broadly as opening the door to patenting of software, as well as business methods, as a technological processes. Indeed, the CAFC seemed to think that everything under the sun made by humans was patentable. Between the mid-1980s and 2006, many thousands of software patents issued, even though the industry reaction to these patents was mixed. Some softwareb developers continued to think that software innovations should not be patented because copyright, trade secrecy, and licensing were adequate legal protections. Even those who thought software should be patentable were critical of many issued patents as claiming techniques already known in the field or trivial innovations. Others complained that software patents were too broad (e.g., covering all means of performing a function with a computer) or disclosed too little detail about the innovation to meet patent standards. But as long as firms were using software patents only defensively or cross-licensing them in large portfolios, there did not seem to be sufficient social harm from software patents to take action against them. In the past several years, the tide has shifted back toward the view that software patents are bad. Partly this is because owners of software patents are increasingly asserting them offensively. Those assertions have not just been against large firms such as Microsoft or Google who can easily pay royalties, if warranted, or the cost of litigation, but against small startups. Partly this is because those who are most aggressive in asserting patents are firms that did not invent the innovation and do not practice their inventions either; they simply want to extract rents from those they allege to be infringers. Because of the high costs of litigation, it will generally be cheaper to settle than to challenge a weak patent as invalid or prove that the target firm has not infringed. Since 2006, the Supreme Court has signaled its discontent with the CAFC's conception of patent subject matter and revived the 1970s cases that were hostile to software patents. This talk will discuss a range of ideas that patent scholars, practitioners, and other concerned parties have developed to deal with "bad" software patents. Tony DeRose is currently a Senior Scientist and lead of the Research Group at Pixar Animation Studios. He received a BS in Physics in from the University of California, Davis, and a Ph.D. in Computer Science from the University of California, Berkeley. From 1986 to 1995 Dr. DeRose was a Professor of Computer Science and Engineering at the University of Washington. In 1998, he was a major contributor to the Oscar (c) winning short film "Geri's game", in 1999 he received the ACM SIGGRAPH Computer Graphics Achievement Award, and in 2006 he received a Scientific and Technical Academy Award (c) for his work on surface representations. In addition to his research interests, Tony is also involved in a number of initiatives to help make math, science, and engineering education more inspiring and relevant for middle and high school students. One such initiative is the Young Makers Program (youngmakers.org) that supports youth in building ambitious hands-on projects of their own choosing. In 2006, Ultra-Large-Scale Systems: The Software Challenge of the Future (ISBN 0-9786956-0-7) documented the results of a year-long study on ultra-large, complex, distributed systems. Ultra-large-scale (ULS) systems are socio-technical ecosystems of ultra-large size on one or many dimensions – number of lines of code; number of people employing the system for different purposes; amount of data stored, accessed, manipulated, and refined; number of connections and interdependencies among software components; number of hardware elements to which they interface. The characteristics of such systems require changes in traditional software development and management practices, which in turn require a new multi-disciplinary perspective and research. A carefully prescribed research agenda was suggested. What has happened since the study results were published? This talk shares a perspective on the post study reality – a perspective based on research motivated by the study and direct experiences with ULS systems. Linda Northrop is director of the Research, Technology, and Systems Solution Program at the Software Engineering Institute (SEI) where she leads the work in architecture-centric engineering, software product lines, cyber-physical systems, advanced mobile systems, and ultra-large-scale systems. Linda is coauthor of the book Software Product Lines: Practices and Patterns and led the research group on ultra-large-scale systems that resulted in the book, Ultra-Large-Scale Systems: The Software Challenge of the Future. 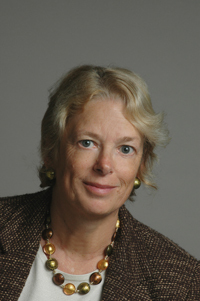 Before joining the SEI, she was associated with both the United States Air Force Academy and the State University of New York as professor of computer science, and with both Eastman Kodak and IBM as a software engineer. She is an SEI Fellow and an ACM Distinguished Member.